The ASN filter designer has been designed around Microsoft’s .NET technology, and as such requires .NET framework 4 to be installed before installation of the ASN Filter designer can continue. The high performance DSP libraries are based around Intel’s MKL technology, which requires an Intel processor in order to achieve optimal performance. Although the tool will run on other types of processors, the performance will not be optimal and may in some cases lead to sluggish performance. Therefore, an Intel processor with a system passmark benchmark of at least 1500 is recommended. Please see http://www.cpubenchmark.net for more information. A screen size of at least 14 inches is recommended, but the UI will be automatically scaled for smaller screen sizes. Any windows compatible mouse with a mouse wheel (required for zooming). You’ll get a screen as shown in Figure 1. Click on the Blue arrow. Click on the Zip file. in order begin the installation procedure. setup.exe will automatically check to see if the .NET framework needs to be downloaded (for most versions of Windows this will not be necessary), and will then continue with the installation. 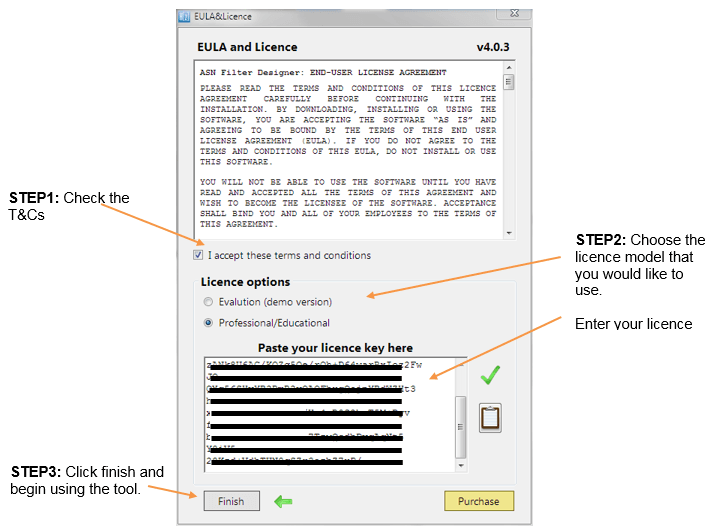 Your licence details may be viewed inside the GUI via the Help > About menu. All licences are issued based on non-editable computer details, such as the CPU serial number and are intended for use on a single computer only. A unique User ID is generated and displayed in the About box. Before purchasing a Professional or Educational licence this code must be sent to ASN Support for generation of the licence. 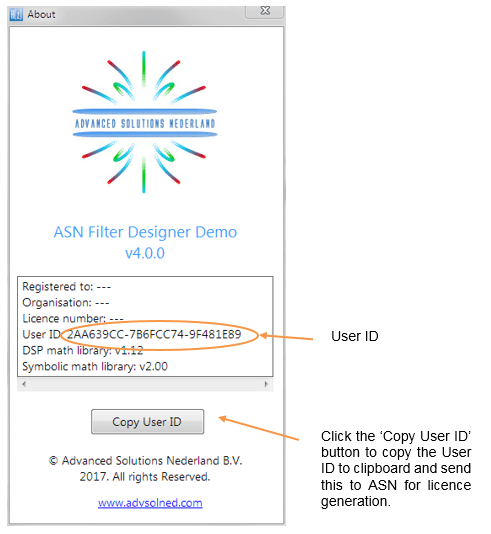 Click the ‘Copy User ID’ button to copy the User ID to clipboard and send this to ASN for licence generation. Project Files: This is the default location of where all design project files are stored. 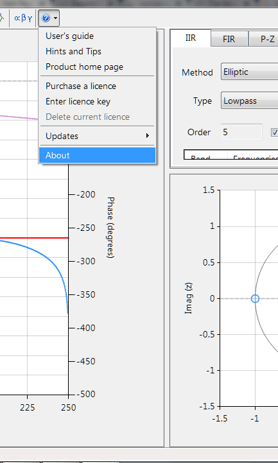 The tool is shipped with several example project files, but you may modify this location to suit your needs. 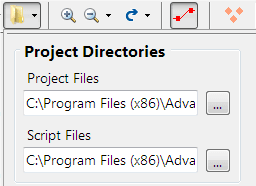 Script Files: This is the default location of all ASN FilterScript files. These settings will be automatically saved when the GUI closes. If you are evaluating the software, this step may be skipped.